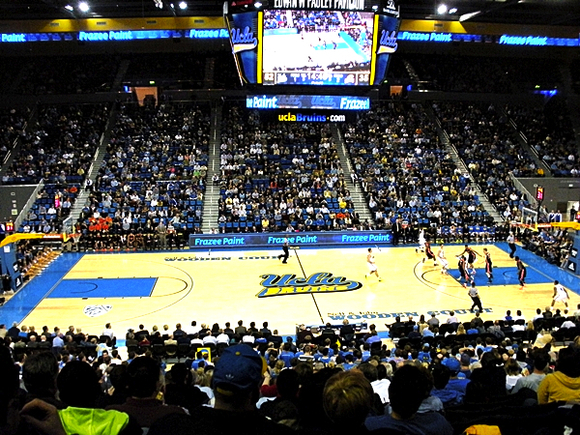 Sandy, Utah – Building on the rich heritage of UCLA’s Pauley Pavilion and providing a new level of entertainment for students and fans, Los Angeles-based Pro Sound & Video recently upgraded the audio system, part of a $125 million renovation to the arena. Acoustic Dimensions served as acoustical consultant for the project, which includes HARMAN’s JBL Professional Precision Directivity™ (PD) series loudspeakers, BSS Audio Soundweb London signal processing and Crown CTs Series amplifiers. “We have used the JBL PD5000 series boxes on previous projects and like the way it sounds. With its tonal quality and high output capability we determined it was a good design choice. Add to that fact that JBL’s headquarters are right down the street from the University, we knew that it was the right speaker for the arena” explained Brian Elwell, Senior Consultant and VP of Acoustic Dimensions.